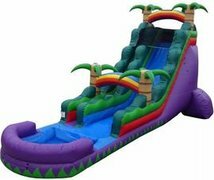 Description: This 24 foot "Purple Paradise" water slide is another perfect unit for your backyard birthday party or corporate event! It features a tropical themed 3D environment that your guests will love. 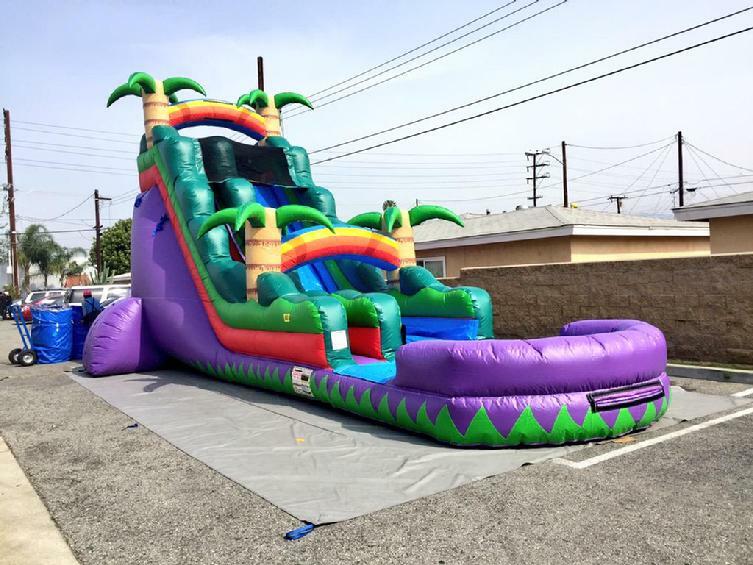 Climb the inflatable slide on the left of the unit, and slide down the 24-foot drop into the inflatable pool below.